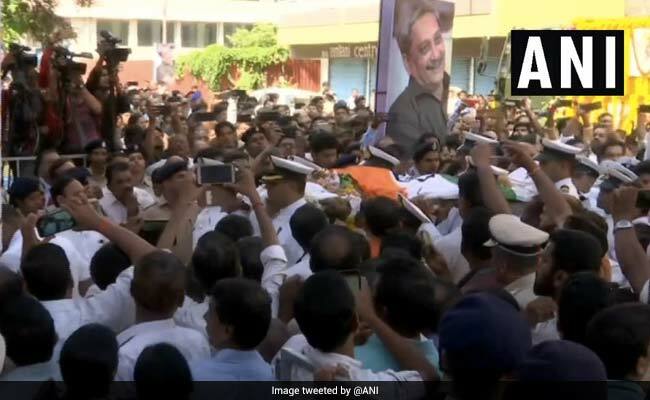 Goa CM Manohar Parrikar Funeral Live Updates: Thousands pay tribute to Manohar Parrikar: On Sunday evening, Goa chief minister Manohar Parrikar died at his Panaji residence at the age of 63. 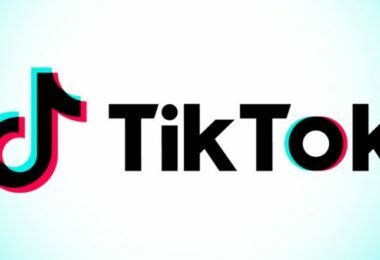 He died just over a year after he was detected with cancer. 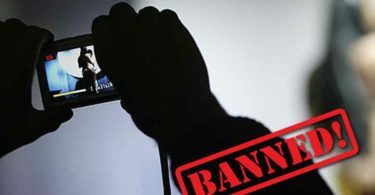 He died from pancreatic cancer on 17 March 2019 and the announcement of his death was announced by the president of India, Ram Nath Kovind. President Ram Nath Kovind through his official twitter account made this tragic announcement. 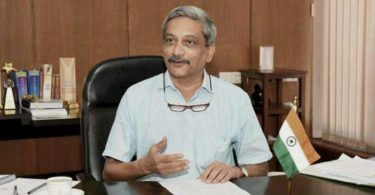 He tweeted, “Extremely sorry to hear of the passing of Shri Manohar Parrikar, Chief Minister of Goa, after an illness borne with fortitude and dignity”. Manohar Parrikar was an Indian politician and leader of Bharatiya Janata Party. He was the Chief Minister of Goa from 14 March 2017 till his death. 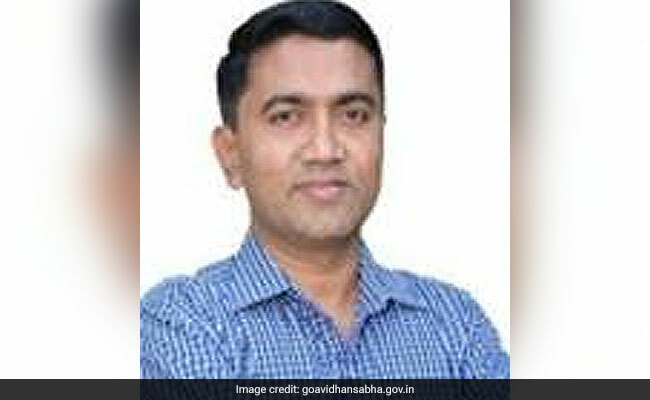 Earlier also he was designated as Chief Minister of Goa from the year 2000 to 2005 and from 2012 to 2014. Tamil Nadu Governor Banwarilal Purohit condoled the death of Goa Chief Minister Manohar Parrikar. “The sad demise of Shri Manohar Parrikarji fills me with shock and grief. A gentleman to the core, an able administrator and an intellectual in his own right, Shri Manohar Parrikarji combined in himself the qualities of simplicity, sagacity and magnanimity,” Mr Purohit said in a statement. Our heartfelt condolences and prayers go to the family and friends of Manohar Parrikar, Goa Chief Minister and former Indian Defence Minister. He was greatly respected by the United States, and his loss will be deeply felt. A former IIT-B student who was present at the convocation ceremony said Manohar Parrikar asked students to join politics and the Army. “Why can’t IIT graduates, who have had the best engineering education in the country, take up academics and run some of these colleges, and transform their quality?” Mr Parrikar had then said. The Indian Institute of Technology Bombay (IIT-B) will hold a condolence meet on Monday evening to pay tributes to their alumnus, Goa chief minister Manohar Parrikar. 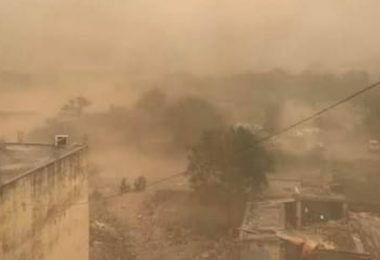 The meeting will be held at 5 pm at the institute’s PC Saxena auditorium, an IIT-B spokesperson said. 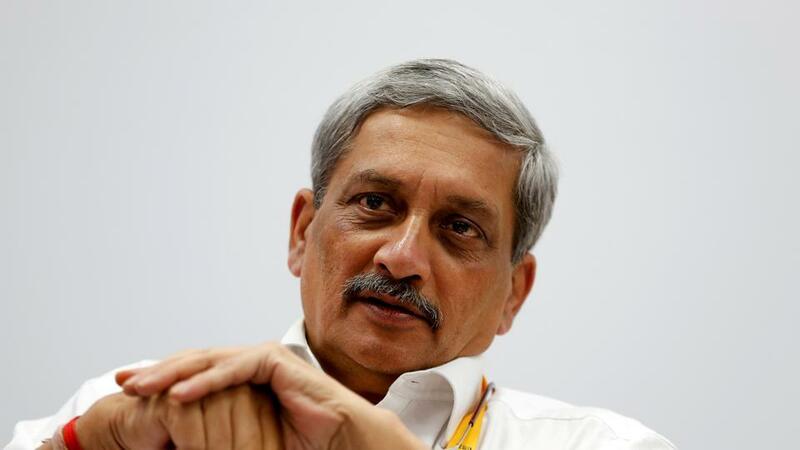 The Union Cabinet has approved following condolence Resolution in the profound memory of Shri Manohar Parrikar: “The Cabinet expresses profound sorrow at the sad demise of Shri Manohar Parrikar, Chief Minister of Goa in the evening of 17th March, 2019 at Panaji, Goa. In his passing away, the country has lost a veteran and distinguished leader, affectionately called as the Chief Minister of commoners. Goa: Visuals from BJP office in Panaji. 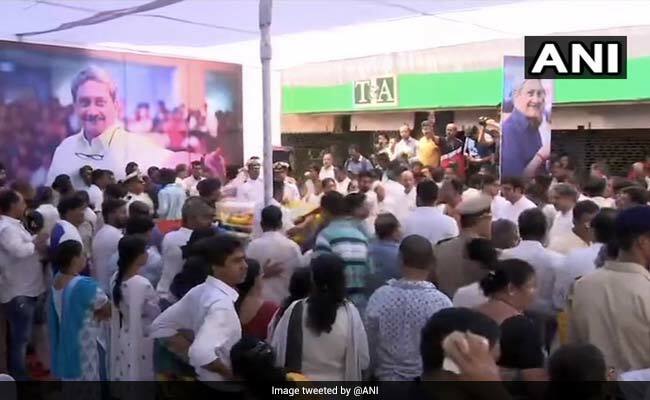 Mortal remains of Goa CM #ManoharParrikar will be brought here for people to pay last respects to him. 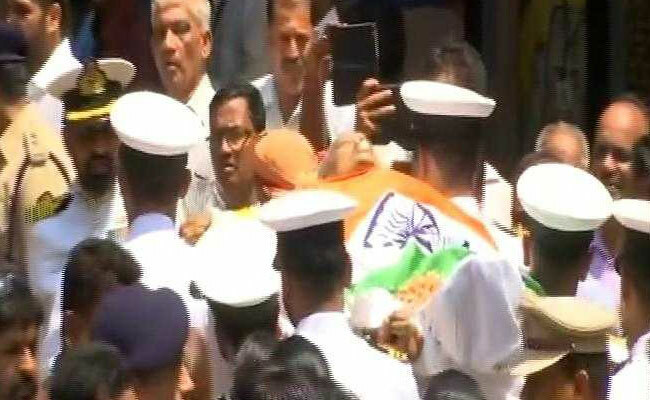 Goa: Mortal remains of Goa CM #ManoharParrikar being taken to BJP office from his residence, in Panaji. All official programmes of the BJP scheduled for today, including the Central Election Committee meeting, have been cancelled. Panaji: Goa Forward Party (GFP) Chief Vijai Sardesai with party MLAs Vinod Palyekar & Jayesh Salgaonkar along with two independent MLAs Rohan Khaunte and Govind Gaude arrives for meeting with senior BJP leader Nitin Gadkari. 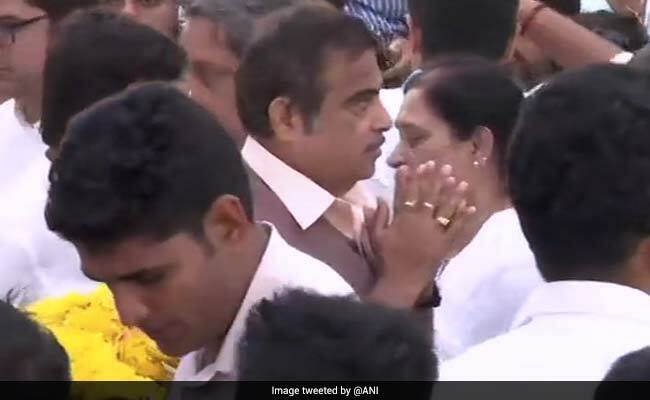 Goa: Union Minister and senior BJP leader Nitin Gadkari arrives in Panaji for the BJP legislature meet following the demise of Goa CM Manohar Parrikar. Sad to hear the demise of Shri Manohar Parrikar. I fondly remember our meetings, particularly about water sharing. He was always positive. He also had a significant tenure as the Defence Minister. He put up a brave fight against his ailment. 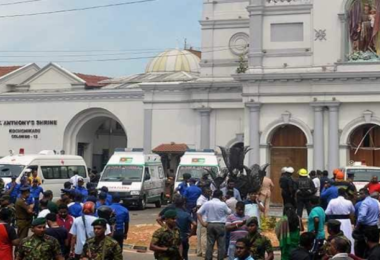 The four-time chief minister will be accorded a state funeral. 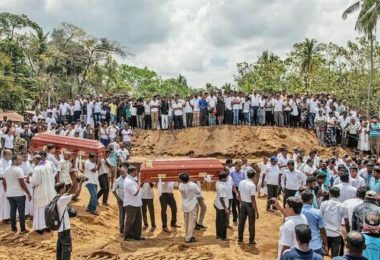 Home Minister Rajnath Singh will be going to Goa to be a part of the funeral. A meeting of the Union Cabinet has been called at 10am as well. Few hours earlier, a tweet from Parrikar’s office stated his condition and said he was “extremely critical” and “doctors are trying their best”. 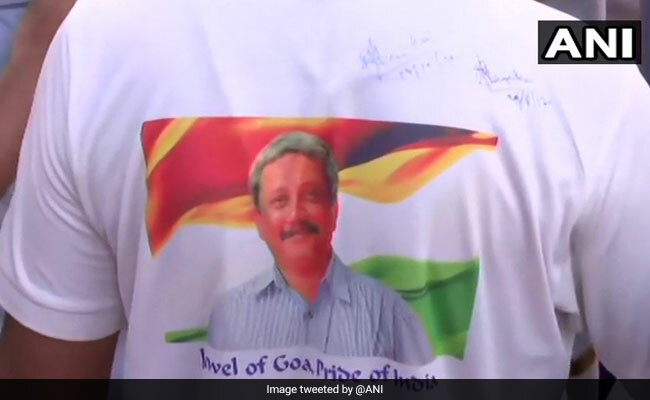 Parrikar was suffering from advanced pancreatic cancer and because of which he had been in and out of hospitals over the past year whether in Goa, Mumbai, New Delhi and even New York. Parrikar had gone through various treatment at several hospitals in the US, Mumbai, Delhi and Goa. He is survived by his two sons and his wife Medha Parrikar died previously, twelve years ago in 2001. Vice President of India M. Venkaiah Naidu tweeted, “Deeply saddened to learn about the untimely passing away of Shri Manohar Parrikar, Chief Minister of Goa. He is one of the most lovable and honest senior politicians of our country. He was a dynamic and dedicated individual who led life full of values and principles”. Previously in Saturday morning, reports appeared that his health had turn out to be worse after his blood pressure allegedly dropped. As of March–June 2018, Parrikar was going through treatment for a pancreatic disorder at a hospital in the US. He then returned to India but then again in September he was admitted in the AIIMS, Delhi for treatment. The Goa government on 27 October 2018 declared that CM Manohar Parrikar has pancreatic cancer. Earlier, BJP leader Siddharth Kuncalienkar visited the chief minister at his residence. 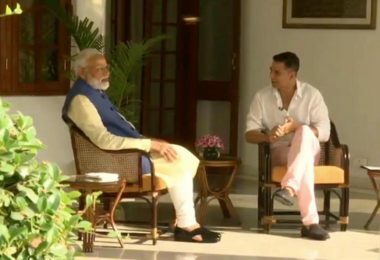 When he was asked that whether he got to speak to the chief minister, he replied that that Parrikar was stable but didn’t reply in the confirmatory. In another tweet of PM Modi he tweeted, “Shri Manohar Parrikar was an unparalleled leader. “Shri Manohar Parrikar was the builder of modern Goa. Thanks to his affable personality and accessible nature, he remained the preferred leader of the state for years. His pro-people policies ensured Goa scales remarkable heights of progress,” PM said in another tweet. Centre has declared national mourning on March 18, following death of Goa Chief Minister Manohar Parrikar. State funeral will be given to him as well as National Flag will fly at half-mast in the National Capital & capitals of States & UTs, as per news agency.